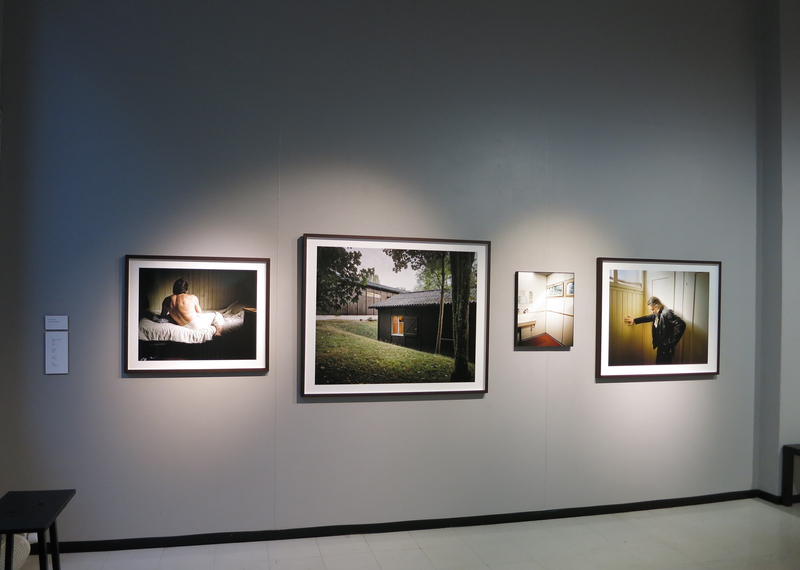 Riina Rinne and Delphine Schacher at Nykyaika until October 2. “When you’re an alcoholic you don’t think about anything else than alcohol: where to get it from, how much you can get it, how long it will last. Everything in life is measured in alcohol.” This is how Hannu, a 65-year-old alcoholic and a resident of Hipposkylä, describes alcoholism. When a person gets seriously addicted to alcohol they lose their indepen­dence in every way: they lose their jobs, their homes and their loved ones. This is the story of Hannu, Jyrki, Otto and many other men living in the residential area of Hipposkylä in Tampere, Finland. Hipposkylä was built in the 1940s, immediately after the Second World War. At the time, it was the largest area of communal housing in Tampere. After the war, Hipposkylä provided homes for young families with children and accommodated approximately 900 people in total. Nowadays, 70 years later, Hipposkylä is the home of 227 people of whom 98 per cent live alone and 87 per cent are men. The old houses are in bad condition and the rents are among the cheapest in the city. Many of the people living in Hipposkylä are subjected to mental health issues, unemployment and alcoholism. “The workers and visitors of Hipposkylä are the closest family I have,” said Otto when asked about the meaning of Hipposkylä in his life. It is an example of a community that, having been left on the margins of society, became autonomous and self-sufficient. How­ever, the future of the community is now uncertain as the city of Tampere is in the process of reconstructing the entire area. This could mean the end of Hipposkylä and its communities. The story behind Bois des Frères [Brotherswood] begins in the 1960s, in Geneva’s suburbs, at a time when it was necessary to accommodate hundreds of Italian workers who came to build the towers of Lignon (the largest building in Europe at that time). Twelve barracks were then erected, as a temporary solution, to host the seasonal workers. Although they should not have lasted, these cabins still exist today and they still host men whose origins are not only in Italy but also across Europe and Africa. Photographed in natural light, the series Bois des Frères reveals this “out of time” place in Geneva, which is otherwise known for being a financial hub and worldwide centre for diplomacy. In this way, Schacher unveils a usually concealed and unseen reality. Portraits of men, still lifes and landscapes are a very precise and genuine document of the barracks and the surrounding area. The proximity of the Rhone River gives the place a rural feel, while the privacy of these guest workers is confined to their 10 square meters rooms.